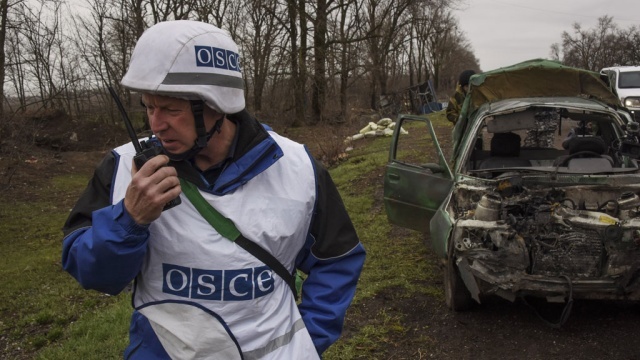 DPR Defense Ministry calls OSCE and the Joint Center for Ceasefire Control and Coordination to immediately investigate the attempts of Kiev junta’s forces to breach this night the line of defense from the direction of Mariupol, according to DPR Deputy Defense Minister Eduard Basurin. We also call to Germany, France and the Russian Federation, the three of them being guarantors of the implementation of Minsk agreements, and demand to make Kiev stop its provocations and shelling of DPR. This entry was posted in News from Ukraine and tagged DPR, Genocide, Minsk agreements, OSCE. Bookmark the permalink.